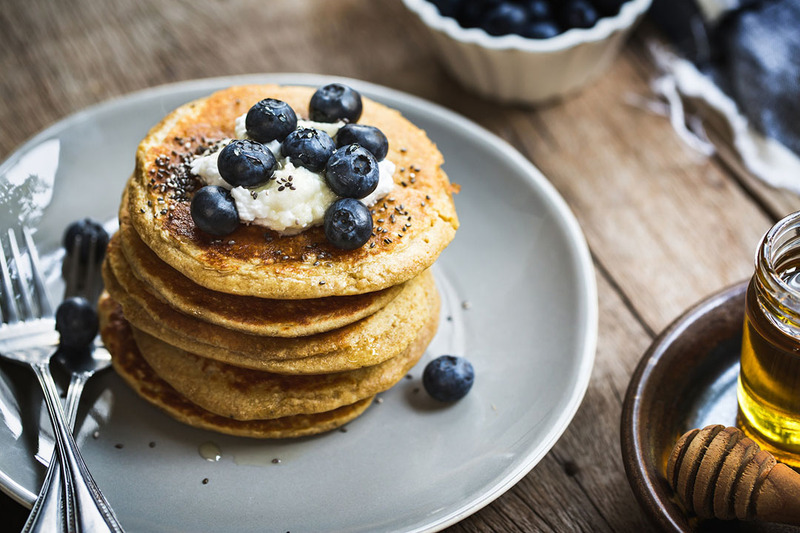 Pancakes are a breakfast favorite no matter what your age. Try this easy 8-ingredient recipe to help make this delicious favorite a healthier option for the entire family. Plus, they’re gluten and dairy free! Combine peeled bananas, eggs, rolled oats, baking powder, cinnamon and salt in a blender. Allow the batter to stand for 10-20 minutes or until it slightly thickens. Drop spoonfuls of batter into the heated pan and fry until golden brown on both sides. (Note: Batter may not bubble, watch the edges of the pancake and flip when they look dry). Top and serve with maple syrup or your fruit of choice. Leftover pancakes can be stored in the refrigerator for up to 2 days. To prep and freeze, lay the pancakes in a single layer on a parchment-lined baking sheet, then place in the freezer, Once frozen, place pancakes in a sealable bag and store for up to 2 months. Reheat in the toaster or microwave, directly from frozen. If you want to use ripe bananas in your pancakes, don’t wait days to try this recipe out. Ripen your bananas faster with this easy 30-minute hack. Preheat over to 300 degrees. Place the desired amount of bananas on a baking sheet (do not peel). Bake for 30 minutes or until the skin is a shiny black. Cool for 30 minutes before using or toss them in the fridge to cool off. The heat causes the sugars in the bananas to come out faster, so you’re left with a super-soft, extra-sweet treat! Looking for Super Nutrition? Try Homemade Stock!